Good morning Fawn friends! Today I am so excited to share with you an adorable trend that I am seeing emerge in the baby fashion industry. While "Tribal" trend is still going strong, many fashion forward mommies are combining their baby's current tribal wardrobe with "non-commercialized" pieces generating a new fabulous fashion movement called, "Hipster". To me, much of this style portrays an indie/ thrifty feel with an urban vibe. There are so many amazing online shops that offer an array of different style printed tees and onesies that could be paired up with an adorable pair of vibrant leggings or custom distressed jeans. Next, throw a pair of baby sized converse or moccs on and your Hipster Look is complete! Today I have listed a few of the different styles that are available as well as hipster inspired accessories that any little trendy baby would love! Here are McKenzie's picks for the Hipster Baby Girl! 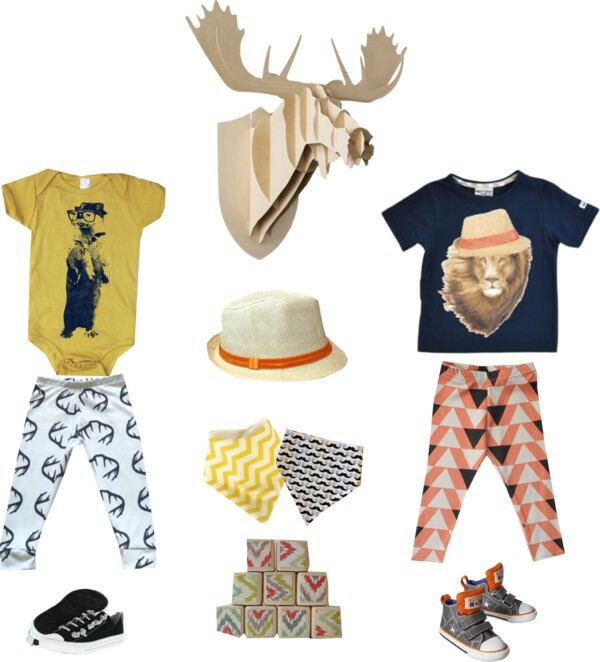 Here are McKenzie's picks for the Hipster Baby Boy! I am obsessed with the hipster baby trend! Me too Beth!! I love how it doesn't have to be too matchy matchy! Came across your blog on Pinterest, Love it!! It just happens you included my "HappyDay Geo Deer" print on your hipster baby board. :) I was pleased to see it accompanied with such adorable picks! I'm so glad you found it! I can't wait until we decorate my little's big girl room! 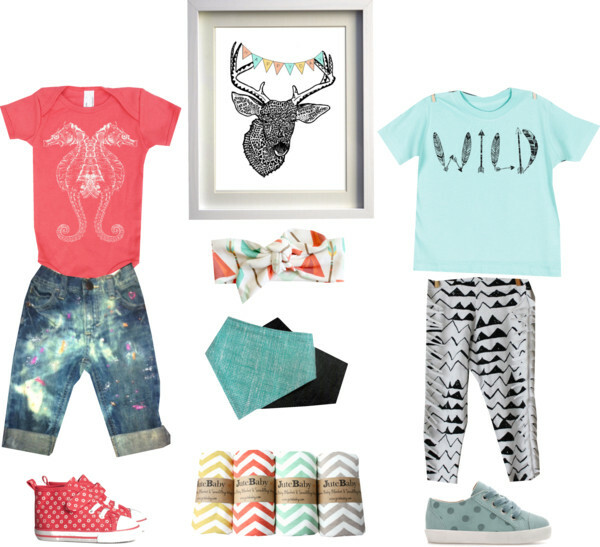 Your deer print is a must!